Many things in Exchange and Office 365 take too long to do via the admin console, but are too obscure to do routinely via PowerShell. Unless, that is, you have a script! This function will add a single sender address to your spam policy’s BlockedSenders attribute or a sender domain to the BlockedSenderDomains attribute. 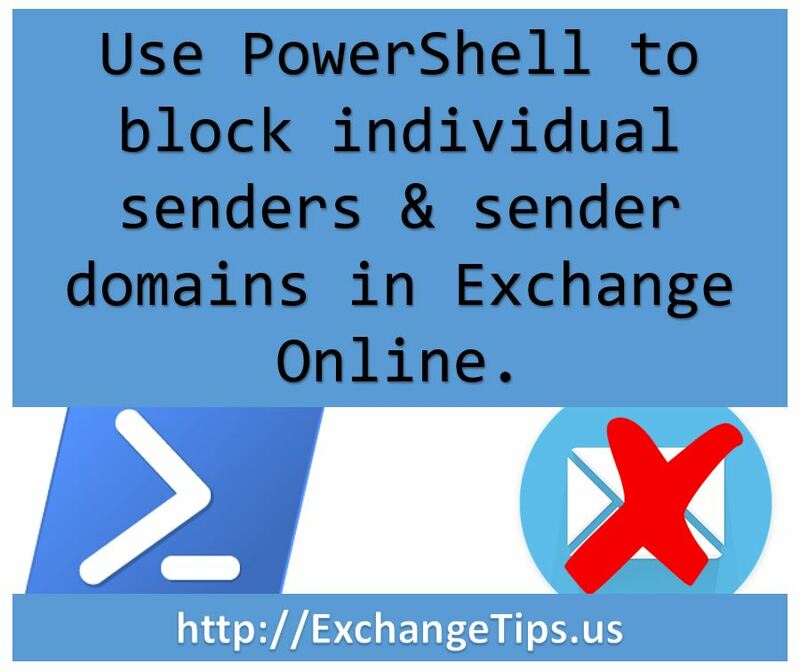 Adds a blocked sender address or domain to an Exchange Online spam policy. a spam policy is not specified, assumes the policy name "Default". Add two email addresses and an email domain to a specified spam policy. An email address to add to the blocked senders list. An email domain to add to the blocked senders list. and have the relevant PowerShell modules loaded. # Test for connection to Microsoft Online. Write-Warning "This function requires a connection to Office 365." # Validate the specified sender domain. # Set a variable for testing the sender addresses later. # Validate the sender address parameter. Write-Warning "Invalid sender address: $Address." # Add the address to the BlockedSenders variable. # Set the new BlockedSenders value. # Set the new BlockedSenderDomains value.